My junior year of college I signed up for a women's literature class as part of my Women's Studies minor at BYU. Shortly before the class began they notified us that there would be an instructor change, but since I didn't know either instructor I didn't think much of it. When I went to go buy my books for the class I noticed that there were two very different sets of books on the shelf. The first set was composed mostly of Jane Austen novels and several other books from the same time period, all by women authors. The second set, which were the ones I needed for my class, looked way more interesting to me. There were books on Jungian psychology, Native American women's memoirs, poetry, and titles like "The Goddess Within". I secretly congratulated myself on somehow avoiding the women's literature class that would have just read Jane Austen novels all semester. I couldn't see how there would have been anything interesting, feminist, or important to say about women from those books. Weren't they just love stories? My women's literature class turned out to be one of my favorite classes of my college experience, and so many of the things we talked about shaped how I see the world and women's experiences. In fact, I think that it was that class that really gave me the courage to get married even though my parents had recently divorced and I was terrified of the idea. In many ways I think that the instructor change for that class may have been a tender mercy in my life. Yet recently I've been wishing that I could go back to school and take women's literature again but from the other professor, the one who assigned all the Jane Austen books. I would be so interested to know what she had to say and what themes and ideas we would have discussed. This is because a few months ago I watched this lecture by Christina Hoff Sommers about the history of feminism. In her lecture she talks about how there are, and always have been, two different types of feminism. This video will give you the very condensed message of her lecture. The first type of feminism is what has historically been called "maternal feminism" and is the type of feminism that many of our great grandmothers believed in. In the late 19th century women in Europe and the United States began mobilizing to help reform society and to secure women the right to vote. Women like Hannah More in England, Francis Willard in the United States, and Nellie McClung of Canada rallied women to become involved in improving their communities and seeking the right to vote. “Too long have the gentle ladies sat in their boudoirs looking at life in a mirror like the Lady of Shallot, while down below, in the street, the fight rages, and other women, and defenseless children, are getting the worst of it. But the cry is going up to the boudoir ladies to come down to help us, for the battle goes sorely; and many there are who are throwing aside the mirror and coming out to where the real things are. The world needs the work and help of the women, and the women must work, if the race will survive. " At the same time that maternal feminism was in its prime in the US and Europe there was also another type of feminism that, while much smaller, was also involved in suffrage and women's rights. This type of feminism is what Sommers calls "egalitarian feminism" and is the type of feminism that has largely survived today, and is sometimes called the "second wave" of feminism. The ideals of egalitarian feminism are embodied in women like Mary Wollstonecraft who wrote "The Vindication of the Rights of Women" and believed that , "...men and women were essentially the same in their spirits and souls, deserving of the same rights." Egalitarian feminists were of the philosophical mindset that men and women were essentially the same, and that it was merely a deep rooted patriarchal society and a woman's biology that kept her back from being like a man. In fact, as you study feminist history it is apparent that for egalitarian feminists their main goal wasn't just suffrage, but that they really wanted to unseat and eventually destroy any visages of patriarchy. They didn't believe that women could be empowered or "equal" with men as long as a Biblical, patriarchal mindset remained intact in society. In fact, two of the most famous egalitarian feminist were Susan B. Anthony and Elizabeth Cady Stanton, who both were very active in securing women the right to vote in the United States. Elizabeth Cady Stanton wrote a very interesting book called "The Woman's Bible", which was essentially her attempt at re-writing the Bible to be more gender inclusive. It is a fascinating book, and while she does give some interesting insights into the stories of the women in the Bible, it is very clear that her general feeling is that the Bible, and religion in general, is the main source of women's oppression. Here is a quote from the introduction of The Woman's Bible, "...I do not believe that any man ever saw or talked with God, I do not believe that God inspired the Mosaic code, or told the historians what they say he did about woman, for all the religions on the face of the earth degrade her, and so long as woman accepts the position that they assign her, her emancipation is impossible." I agree with her that throughout history the Bible and religion have been used to oppress and harm women, and that women are too often the victims of unrighteous dominion by men. Yet, a main theme running through Stanton's version of the Bible is the need for women to throw off the chains of religion and tradition in order to be truly equal with men. This mindset was, and still is, central to the egalitarian feminist philosophy. As a consequence it has always been difficult for women of faith, particularly women with patriarchal based faiths (ie. Catholics, Jews, Muslims, Mormons) to reconcile egalitarian feminism with their faith and church teachings. Which is probably one of the reasons why egalitarian feminism only appealed to a small group of women, and still has a hard time finding mainstream support with most women. I think that both these type of feminism, maternal and egalitarian, are important and that both voices can be powerful tools for improving the lives of women. Yet it is interesting to me that the only type of feminism that we ever really talk about is egalitarian feminism, and that when we think of great feminist heroines we think of the egalitarian ones, like Susan B. Anthony. This is sad to me because there is a whole different group of maternal feminists who were equally, if not more, influential in improving the lives of women around the world. Yet the contributions of these women are often disregarded by modern scholars because these women believed in working within a patriarchal framework and in the importance of women in the home. This type of feminism, was and still is hugely appealing to the majority of women around the world, but it is a viewpoint that is rarely accepted as being a "valid" feminist choice in modern society. Okay, so what does all this have to do with Jane Austen? Jane Austen was a maternal feminist. Austen lived in England during the same time period as a woman named Hannah More. More was perhaps one of the most outspoken and successful maternal feminists of the 19th century. She was good friends with Wilbur Wilberforce and was highly influential in the abolition of the slave trade in England as well as many other societal reforms like education for the poor, relieving poverty, and ending animal cruelty. In addition she was a powerful writer and often encouraged women to expand their sphere of influence by gaining better educations, being actively engaged in society and politics, and in elevating relationships between men and women, especially when it came to courtship and marriage. She believed in motherhood and marriage and felt that it was one of a woman's most important jobs, though she was critical of "fashionable" society which often relegated women to ornamental roles. More was enormously popular and several of her pamphlets and tracts sold millions of copies in England, Europe and the United States. Not only were her ideas about women popular but she was also very good at mobilizing women into action. 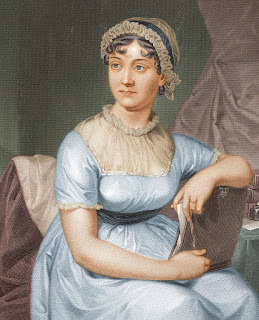 Women listened to her and in consequence England had a strong maternal feminist movement at the time of Jane Austen. It has been so fun for me to go back and read (and watch) some of Jane Austen's works looking for influences of maternal feminism, and I haven't been disappointed. Jane Austen's stories are full of the feminist ideals of her time. Her stories center around strong female characters who often don't fit into societal molds of what a "proper" young lady should be like. Not only does she have strong female characters and plots but her notions of romance, courtship and marriage all center around relationships of equality and respect between men and women. For example, in Pride and Prejudice we see how Mr. Darcy hesitates to fall in love with Elizabeth because of her lower financial situation and social standing, but how he is impressed with her independence and her intelligence. On the other hand Elizabeth judges Mr. Darcy unfairly but is eventually impressed by his kindness, gentleness and noble character. Eventually it is their mutual respect and admiration for each other that leads them to marriage. Their relationship is in stark contrast to several relationships in the story where financial security, good looks, and social class play the determining factor in the couple's decision to marry. 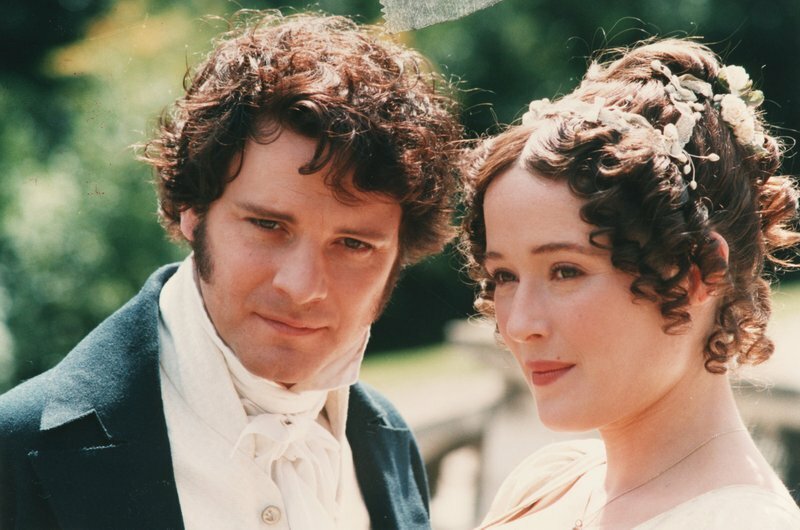 I think that through the romance of Mr. Darcy and Elizabeth, Austen was painting a picture of something that wasn't common in her era, a relationship where both the man and the woman were intellectual and moral equals and treated each other with mutual respect and equality. Another example I thought of was the story of Emma in which the main character, Emma, spends much of her time engaged in philanthropic work, such as taking baskets to poor families, caring for the sick, and trying to arrange marriages for just about everyone. At the start it appears that her motives are pure but as the story progresses you begin to see that she is motivated by purely selfish reasons and that her main reason for serving is to make herself appear superior in the eyes of her peers and acquaintances. Through a series of disasters Emma eventually becomes humble and realizes her mistakes. She goes on a hard journey to set things right and at the end of the book you see a young woman who is doing things for the right reasons, and not just for appearances. I think once again Austen's story is full of maternal feminist ideals; being motivated to help others around you out of love and "maternal feeling" and not just for social or personal gain. Things which, once again, would have been more than common among the women of Jane Austen's time period. All of Jane Austen's other books also deal with popular maternal feminist ideals of her day, everything from slavery, what constitutes a good education for young women, relationships between men and women, changing the ideals of beauty, the unfairness of women's economic situation (like being unable to inherit money), developing real moral character, and the need for women's voices to be heard and respected. 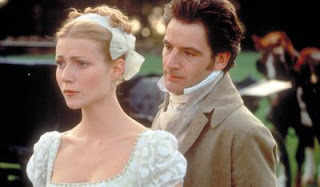 I could probably spend hours talking about examples from different Jane Austen stories-- which is why it would be fun to go back and re-take that women's literature class! It has also been interesting to discover that other female writers I love were also considered to be maternal feminists. Elizabeth Gaskell, who wrote North and South and Wives and Daughters, was before More's time but was an early advocate for women's education and for women expressing their maternal values in society. For example, North and South deals mainly with the turmoil surrounding unions and labor mills. The heroine Margaret Hale finds herself right in the middle of all the politics and through some very courageous moves, and a little romance, is able to have a huge impact on improving the lives of the mill workers. Lucy Maud Montgomery, the author of Anne of Green Gables, was also a maternal feminist and you can see strong maternal feminist ideals in her books. Anne is a strong, highly educated and opinionated woman who has aspirations beyond just becoming a wife and a mother. In fact, the great appeal of Anne is her struggle between her desire for a career and romance with her love for the less dramatic reality of her family, friends, and Gilbert Blythe. I love it that despite all her adventures Anne finally discovers her happiness (and continuing adventures) through a balance of the more "traditional" choices of marriage and motherhood, paired with her gift for writing. I'm sure that if I was to take an even closer look at my bookshelf I'd find more authors and stories who were maternal feminists . It has been fun to realize that that the stories I love are not just fluffy love stories but are filled to the brim with the type of maternal feminist ideals I want to instill in my daughters. I am going to have no problem having Jane Austen or Anne of Green Gable marathons with them in the future. I hope that along with those stories we will also have some good conversations about womanhood, relationships between men and women, the importance of education, and what constitutes true success. In fact, I think it is a credit to maternal feminism that so many of the authors whose stories embody its ideals have become well loved classics and have been read by generations of women and men. I think it just goes to show how much the ideas of maternal feminism have and still do resonate with the majority of women. I think that the real tragedy is that when the story of feminism is told we only tell one part of it, the egalitarianism side because that is what has survived as the feminism of today. When the history is told we talk about women like Susan B. Anthony and Elizabeth Cady Stanton and forget women like Francis Willard and Hannah More who were just as popular and influential in their day, but whose contributions are always dismissed by modern feminists because they were "guilty" of accepting and even defending the patriarchal order of their society. I don't think that is fair. I think the voices, history, and viewpoints of ALL women-- maternal, egalitarian, liberal, conservative-- are going to be needed if things are ever really going to improve for women around the world. There is so much exciting work to be done in the world and I am excited to teach my daughters that there is more than one way to be a feminist and that the choice to be a maternal feminist, to work within a patriarchal order and to believe in the importance of the home, is every bit as "valid" and world shaking as being an egalitarian one. I'm excited to see organizations like Big Ocean Women who are mobilizing a maternal feminist voice, and making sure that all women and all voices have a seat at the table. I'm excited to see women around the world embracing maternal feminist ideals and being willing to take a stand for womanhood, marriage, and the family. Yet mostly, I'm excited to finally give a name to the type of feminist that I am. It has been a long quest for me to navigate all the different roads and by-roads of feminism. It has been so empowering and invigorating to discover the history of women who believed and fought for the same type of things that are near and dear to my heart. It is exciting to know that I am not alone and encouraging to realize that maternal feminists have helped accomplish some really incredible thing throughout the history of this world. It puts me in the company of, as Anne Elliot the heroine of Austen's Persuasion, says, "clever, well-informed people, who have a great deal of conversation", which as I'm sure Jane Austen would agree, isn't just good company but the best. Heather, this was perfectly timed. I too have struggled with my feminist identity and how it fits into my beliefs of religion and womanhood. I feel the same as you - that I finally have a name for what type of feminist I am! I distinctly remember an idea I bounced around with my husband a few months ago. The idea that a woman's sphere of influence can be equally powerful as a man's - it just looks different. Women gather in homes with friends and acquaintances, where in such an intimate and welcoming environment ideas, thoughts, and discussions can be shared. Because of how their message is presented - with love, familiarity, and genuine friendship, their influence is profound. Their friends will share with their families and other friends, and changes can be effected in a seemingly small, but very large way. There is no standing in front of a crowd of TV cameras to speak publicly or shout CHANGE on YouTube channels. So even though it looks different, its still just as important. Thanks for sharing, Heather. What a great post and perspective. I just wanted to thank you for all your great insights and thoughts both here on the blog and your book. I love referencing your blog as I find women in the scriptures. I loved this post. What great insight. Great post Heather! That was amazing! I have loved the Jane Austen stories since I have been introduced to them! It is fun to read your insights! I never would have considered them feminists, only because I was only aware of the one type. But it is so refreshing to see that there are women who had a vision and understanding of what our role as women can/should be and what kind of a powerful influence we wield. It is no wonder Lucifer wants to silence us and degrade motherhood, quashing its power and influence. What better way then to take us away from our home and our children, molding and shaping the next generation and sharing our insights with the current one!! Power indeed! Well done! I came across this when I came here for some help with the Old Testament, but you had me at "Austen!" It will be fun to go back and read with a maternal feminist lense. I've read your article many times as I love Austen and Gaskell and discovering the name of the type of feminist I am. 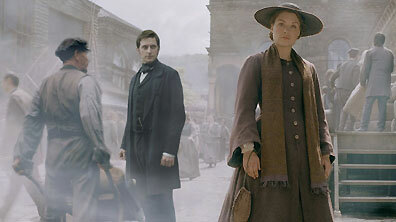 I just want to point out that Gaskell was not before More's time. I googled Austen, More and Gaskell because I was confused. Thank you for your excellent perspective!